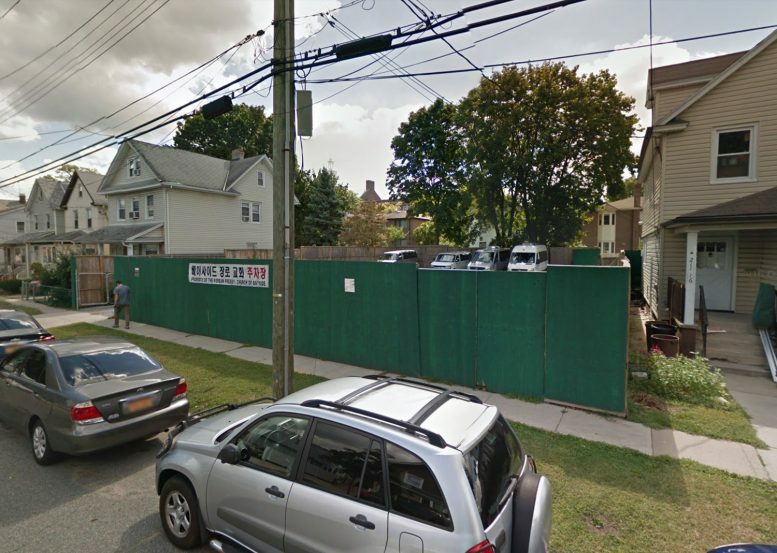 Permits have been filed for a three-story private school at 211-18 45th Drive, in the affluent neighborhood of Bayside, Queens. The site is seven blocks away from the Bayside Train Station, serviced by the Port Washington branch of the Long Island Rail Road. Bayside Presbyterian Church will be responsible for the development. The 39-foot tall structure will yield 9,980 square feet dedicated to the community facility. The building will function as a kindergarten and after-school care, according to permits. Classrooms will be situated on the first and second floor, with the third floor dedicated to office and conference space. A parking garage with capacity for 22 vehicles will be located below ground. Demolition permits were filed for the site in May 2015. An estimated completion date has not been announced. The Flushing-based Design Group IN H&K will be responsible for the architecture. Be the first to comment on "Permits Filed for 211-18 45th Drive, Bayside, Queens"